Front, L-R: Shannon Andersen; Ed MacDonald, Chair; Randy Jollie; Keltie Jones. 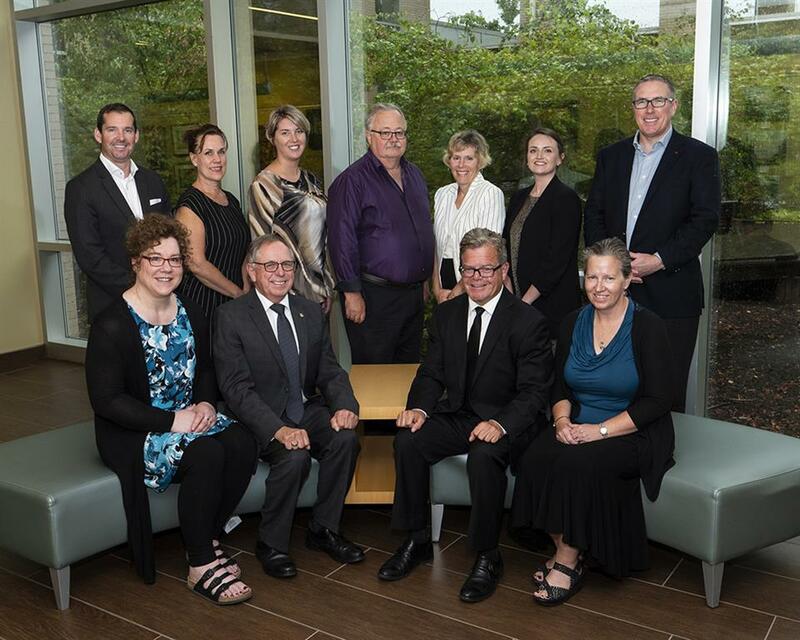 Back, L-R: Bruce Young; Lisa Jennings; Sarah Boss; Dr. Donald Pugsley; Laurie Sandeson, Vice Chair; Grace MacCormick; Glen Rankin. Missing: Shane Crawford, Past Chair; Mark Denholm; Scott Joudrey; Greg Mosher, Secretary-Treasurer.